We conduct research and use data as a foundation of our work. We utilize leading sources and embed research information, data, and findings to inform our professional development and grants. We are committed to staying apprised of new research in the field and continually update our services to reflect best practices. Healthy Child Care Colorado is a statewide resource for child care health consultants, who are medical professionals assisting licensed early childhood programs with health and safety practices. 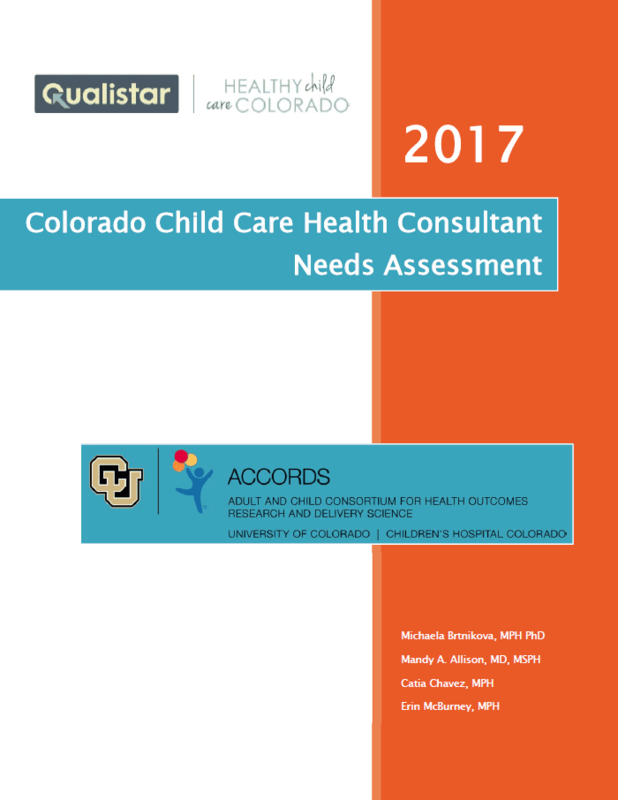 Healthy Child Care Colorado partnered with the University of Colorado’s School of Medicine – Adult and Child Consortium for Health Outcomes Research and Delivery Science (ACCORDS) and Children’s Hospital Colorado in 2017 to develop, deliver, and analyzed an IRB-approved research project. We utilized qualitative and quantitative research methods to learn more about child care health consultation in Colorado. Our goal was to learn more about the clinical practices, education needs, and desired supports for nurses and pediatricians in this community-based role. We gathered data from 325 survey respondents and conducted 40 phone interviews with health consultants from urban and rural communities. We are committed to make data-driven decisions that continue building infrastructure and supports for this unique and critical role that impacts the health and safety of our youngest children. We partnered with the University of Colorado’s School of Medicine – Adult and Child Consortium for Health Outcomes Research and Delivery Science (ACCORDS) and Children’s Hospital Colorado to develop, deliver, and analyzed an IRB-approved research project. 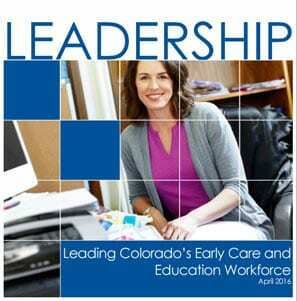 We published the Leading Colorado’s Early Care and Education Workforce (2016) report in partnership with The Women’s Foundation of Colorado. 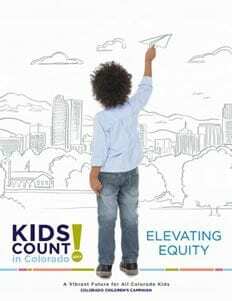 Each year, the Colorado Children’s Campaign publishes the Kids Count Report that highlights important statistics about the well-being of children and families in our state. Child Care Aware of America, headquartered in Arlington, VA, is a leading voice in child care. Their mission is to advance a child care system that effectively serves all children and families. 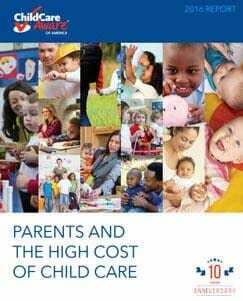 Each year a publication is released that focuses specifically on the cost of child care. This website is designed to promote high-quality research and inform policy through free access to thousands of publications and datasets. On this website you can find data and resources, understand current research, and make connections. The website is sponsored by the National Center for Children in Poverty, the Inter-university Consortium for Political and Social Research (ICPSR) and the Office of Planning Research and Evaluation (OPRE) within the Administration for Children and Families, United States Department of Health and Human Services. 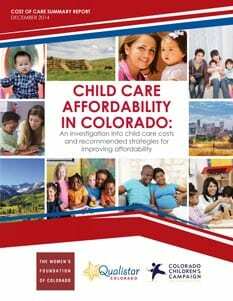 The Women’s Foundation of Colorado awarded us a grant to investigate the barriers to affordable child care. We worked closely with the Colorado Children’s Campaign, and The Women’s Foundation of Colorado published the following series of papers to address the issue and make recommendations for solutions. 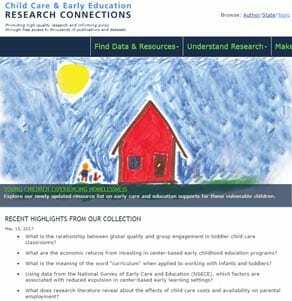 Data on early childhood education quality, drawn from the Qualistar Rating™ and child outcome data drawn from the RAND Corporation’s evaluation of Colorado’s quality rating system have been published in more than 10 highly respected journals. This Annotated Bibliography describes each study. 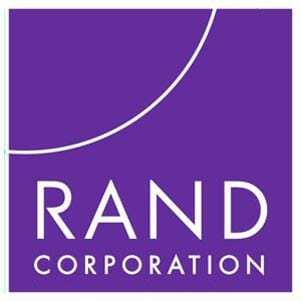 The RAND report represents the first comprehensive study of the validity of quality rating systems as a tool for improving early childhood education quality. The The Worthy Work, STILL Unlivable Wages: The Early Childhood Workforce 25 Years after the National Child Care Staffing Study was conducted by the Center for the Study of Child Care Employment. The Center, housed with the Institute for Research on Labor and Employment at the University of California-Berkeley, was founded in 1999 to focus on achieving comprehensive public investments. This report underscores the benefits of early childhood education and the important role of early childhood professionals.